Kearney Children’s Museum inspires play, exploration, and discovery through interactive experiences. Kearney Children’s Museum is where your child can explore and learn! 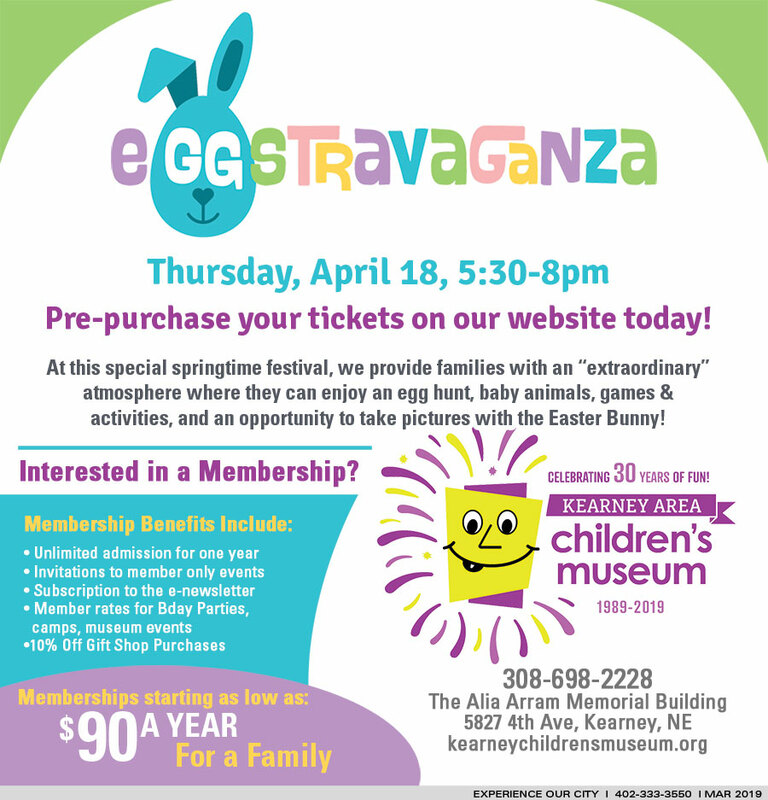 Thursday, April 18, 5:30pm-8pm At this special springtime festival, we provide families with an “extraordinary” atmosphere where they can enjoy an egg hunt, baby animals, games & activities, and an opportunity to take pictures with the Easter Bunny!